I’m not so sure that healthcare IT has “a massive potential to grow,” at least as compared to the boom years of Meaningful Use. CERN shares have been stuck in an up-and-down trading range since early 2015 after years of nearly straight-line growth, and over the past five years, CERN shares are unchanged vs. the Nasdaq’s 82 percent rise. I don’t understand why Medicare Advantage gives Cerner a competitive edge. Cerner, he says, has a “management with a proven track record of delivering growth” even though Chairman and CEO Brent Shafer has been on the job less than a year (and in his first CEO job) and President Zane Burke resigned earlier this month and his position was eliminated. Here’s a bizarre statement: “A single malfunction of their systems would be enough to wipe Cerner off the healthcare IT industry forever,” with the author apparently unaware that such malfunctions happen with every vendor and Cerner in particular was associated (albeit in a poorly researched study) with increased patient mortality at a children’s hospital, which despite headlines had no discernible impact on the company’s growth. 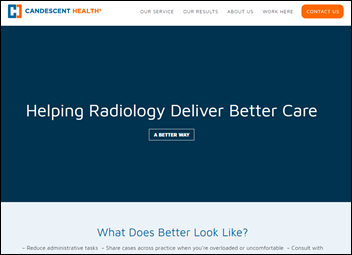 The author claims that despite his proclaimed Cerner “moat” and barrier to entry due to long development cycles, the entry of large-scale competitors could drive down profit margins. Which is it? From Bam Margarita: “Re: innovator awards. Pay for play?” Healthcare Informatics flags as breaking news its invitation to vendors to apply for its Innovator Awards winner for a $1,999 submission fee, after which I assume advertising persuasion is then exerted to the “winners” to publicize their “accomplishment.” The magazine’s pitch page humbly accepts its own nomination to facilitate “meaningful conversations” between providers and vendors (in other words, sell ads). 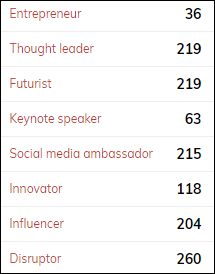 I don’t fault anything they do – it seems like quite a few health IT publications and websites have hit hard times and are scrambling to pivot into conferences or running sponsored “news,” which I suspect has created the now-common journalism death spiral as readers find even less motivation to return. Healthcare Informatics was just sold, with the new owner seeming to be most interest in its conferences. From Cold Gin: “Re: updates. I would like to see you tweet out more frequent HIStalk updates as news develops.” People get crazy stressed out from constantly staring at their glowing screens for political, stock market, and sports updates even as they become oblivious to the real life that is unfolding around them. Sites that provide that information are thrilled that users think such manic behavior is not only normal, but necessary, because the frantic eyeballs earn them advertising dollars even though the nail-biting vigil has zero impact on the outcome. Bottom line: only rarely are health IT events so newsworthy that I would break into your day to relay them. Meanwhile, my thrice-weekly news schedule is nearly perfect for getting the signal without much of the noise. From Kenyan Jambo: “Re: Allscripts Avenel EHR. What happens at HIMSS19 when a product launched with great fanfare at HIMSS18 hasn’t been heard of since?” In a perfect world, the hope for short memories will be dashed, after which embarrassment ensues. 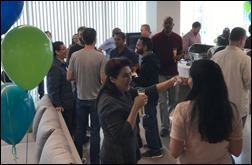 Developing a new product and giving it a high-profile launch is perfectly fine, but the months of radio silence that followed suggests that the public celebration and vendor executive high-fiving was premature. From Agent Orange: “Re: speech recognition. What’s an easy way to dictate documents without cost or system overhead?” Open a Google Docs document, click Tools / Voice Typing (or Ctrl-Shift-S), click the microphone icon and answer any microphone permission messages, and then simply speak away. Accuracy is good even with only a webcam microphone, system impact is minimal, and cost is zero. Just copy and paste your completed text into whatever app you want. You can also dictate directly into Word, which I often forget about since I basically never use Word. Poll respondents say EHR vendors and the government are the dirty old dastards who made EHRs unfriendly. Dean Sittig thinks that while everyone is complicit, EHR vendors didn’t do a great job of operationalizing requirements or constraints. Evan Steele says vendors are forced to make guns-or-butter decisions in either cramming in RFP-sweetening functionality (some of it via the government’s prescriptive requirements) vs. addressing usability. EHR Girl wishes physicians had not taken a hands-off approach when vendors were trying to computerize the medical record in the early 2000s and that the federal government hadn’t trotted out the HITECH carrot without first assessing the state of the EHR market that stood to benefit hugely. Frank Poggio says clinicians are most responsible because all of the vendors have them on staff, also adding that the chestnut that EHRs were built as a by-product of billing isn’t true since Cerner and Epic didn’t even have billing systems until long after they had rolled out clinical systems. Ross Martin takes the long view in blaming World War II, after which the US ended up with employer-based health insurance that begat third-party payers, then Meaningful Use which increased adoption of systems that weren’t focused on patients and users. Industry Stalwart blames insurance companies (of which he or she includes CMS), but also notes that doctors could have opted out of HITECH and accepting insurance, but otherwise have to obey the wishes of outsiders who send them checks. Cosmos works for a vendor that spends half its nursing development team’s time addressing regulatory requirements and the other half dealing with patient safety events and customer escalations, with usability always taking the back seat. He or she also ponders whether the government’s regulation of healthcare threatens competition in favor of what they see as patient safety benefits. 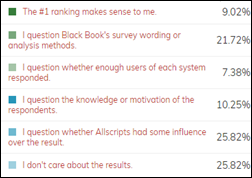 New poll to your right or here, as requested by a reader but modified a bit by me: What was your reaction to Black Book’s survey naming Allscripts the #1 integrated EHR/PM? (my post on Black Book’s methodology provides more information). I’m sure the reader who asked for this poll would also like to hear your thoughts, which you can provide after voting by clicking the poll’s “comments” link. Voting was far heavier than normal, with several votes per minute making it clear that scripting was being used to stuff the ballot box. 170 of the 274 votes that were cast shortly after I wrote this post (more than 60 percent of the total) came from someone hiding their identity and location via the Tor browser. Every one of those votes chose the #1 option. A bunch of votes came from foreign IP addresses, and every single one of those also chose the #1 option. Just about all of the legitimate-looking votes said it’s fishy that Allscripts did so well in the Black Book survey, while none of the suspicious ones did so. It’s fun and ironic than most of the genuine respondents are skeptical of Black Book’s poll results (most of them wondering whether Allscripts influenced the outcome), and now someone is trying to support that Black Book poll result by cheating on my poll. I think we can assume that all online polls or surveys that aren’t locked down to a validated identity are likely to be gamed by someone who benefits from a particular result. UPDATE 2: I turned off poll voting since the bot-driven cheating is continuing. The results excluding those votes are above. Infer what you will that the “Allscripts being ranked #1 makes sense” option gets 67 percent of the vote when you include the obviously fake voters, but just 9 percent with those omitted. Your “false flag” conspiracy theories are welcome. Listening: the new EP from the upcoming 10th album of Papa Roach, which reminds me only slightly of their angrier, earlier nu metal with more of a 21 Pilots sort of intimate, melodic rhyming. I like it. I’m also marveling at live Skillet, drawn in fascination to one of rock’s best and most joyously dynamic drummers in Jen Ledger. And while I loathe holiday-themed albums (I always picture uninspired, drugged-out rockers who are bound by record company contracts to stumble unconvincingly through ancient, lame Christmas songs in a June LA recording session) Sia’s “Everday [sic] is Christmas” is stellar, barely recognizable as Christmas music because it’s all new songs that you could play year around. She is brilliant. Jenn has to miss HIMSS19 due to fun family events, so that leaves Lorre to cover our booth solo for three long days with no chance to scurry quickly away for intake and output. Let her know if you would like to stand in for a few minutes or an hour, posing with visitors anxious to take a picture with The Smokin’ Doc or representing me without doing something scandalous (or if it is scandalous, at least making sure it’s fun, yet not legally actionable). I’m also up for hearing about things we might do in our tiny booth that would be fun since we don’t have anything to sell or do except say hello to puzzled passersby. I missed this item previously. VC-backed, Philadelphia-based health cloud vendor CloudMine files for Chapter 7 bankruptcy after defaulting on a $1.8 million bank loan and laying off its 11 remaining employees. The company had raised $16.5 million, most recently in an undersubscribed Series A round in early 2017. 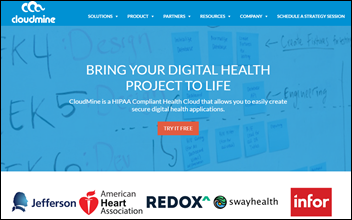 Companies that built applications using CloudMine’s platform were warned that it would be shut down with data deleted per HIPAA requirements. 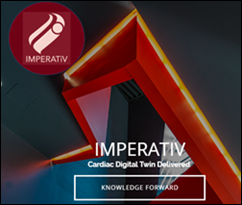 Industry long-timer and neurosurgeon Gopal Chopra, MBBS, MBA launches healthcare AI company Imperativ. Australia’s Perth Children’s Hospital selects Vocera Collaboration Suite. Signature Healthcare (MA) chooses Santa Rosa Consulting to lead its upgrade to Meditech Expanse and implementation at its multi-specialty physician group. Franklin County Medical Center (ID) replaced Evident with Athenahealth in October 2018. 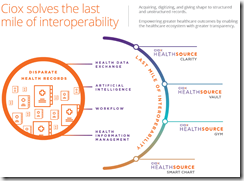 Pana Community Hospital (IL) will switch from Allscripts to Cerner in 2019. San Juan Regional Medical Center (NM) will implement Workday for financial management software in July 2019, replacing Meditech. DocuTAP hires Ron Curtis (Cardlytics) as SVP of product and Kerri Tietgen (KT Consulting) as EVP of people and culture. Research network provider TriNetX adds ambulatory care, medical claims, and pharmacy claims from 190 million patients to its network. It also adds propensity score matching to address potential cohort bias. Catholic Health Initiatives and Dignity Health name their merger-created organization CommonSpirit Health, with the press release brimming with the usual marketing mumbo-jumbo explaining the “positive resonance” that the made-up word (called “one powerful word” despite the fact it’s two words with a trendily omitted space) will create in unifying every single person who is involved in the sprawling endeavor. There’s something unsettling about a ministry preaching the prosperity gospel in “serving the common good” while simultaneously bragging about annual revenue of $28 billion. 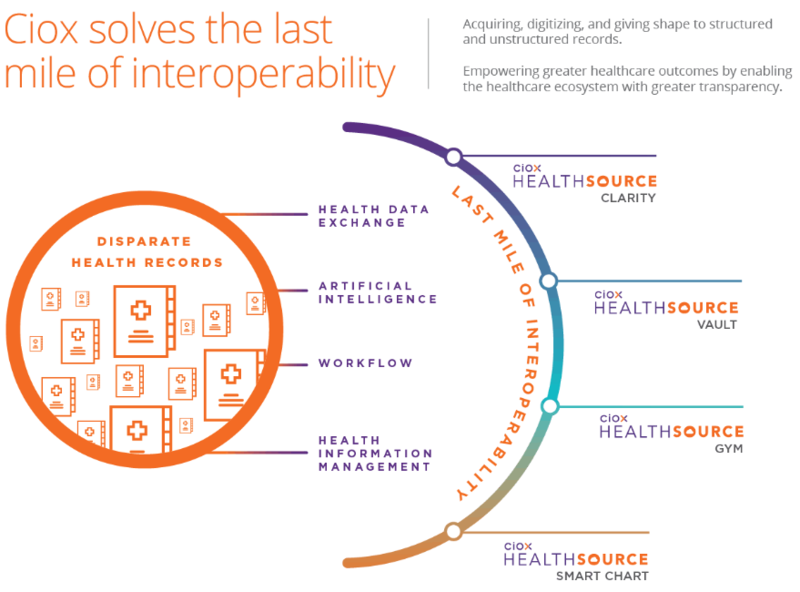 Ciox Health announces HealthSource Vault, a member-centric data repository that creates a longitudinal patient record from medical records, health assessments, clinical data feeds, and other information sources using OCR and NLP extraction. 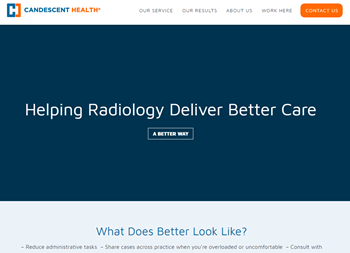 CommonWell announces GA of its connection to Carequality two years after the organizations announced a connectivity agreement in December 2016. Japan’s newly appointed minister of cybersecurity admits to Parliament that he has never actually used a computer because “I order my employees or secretaries to do it.” He’s also in charge of the 2020 Tokyo Olympics. The former CTO of Cleveland Clinic spinoff Interactive Visual Health Records, which offered a system that presented a physician-friendly view of Epic data (the company appears to be defunct), pleads guilty to defrauding the Clinic of $2.7 million by skimming payments made to a foreign company. He agreed to being deported following sentencing. The former CEO of Cleveland Clinic Innovations, who prosecutors said was involved in the scheme, was sentenced to federal prison for fraud last year. Two China-based Google AI researchers return to Stanford University’s medical school to work on healthcare projects. Daily Mail provides some gruesome photos and videos to show the sad results of fame-hungry teens taking the “Fire Challenge” that involves pouring flammable liquid on themselves and then igniting it while recording on video. It’s not technology’s crowning achievement that kids who are the age of those who died on Normandy’s beaches are now seeking their place in history by eating Tide Pods. 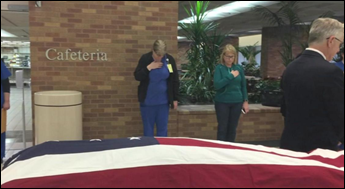 Local TV covers how AnMed Health Medical Center (SC) honors veterans who die in the hospital. 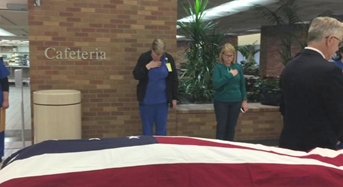 The hospital announces their passing (with the family’s permission) along with their name and rank, their body is covered with the American flag and escorted to a hearse by available doctors and nurses, and employees line up with hands over hearts to honor the deceased. PatientSafe Solutions employees in San Diego relocate to larger office space. PatientPing moves to expanded office space in Boston. PreparedHealth wins several awards at the inaugural Matter Accenture Digital Health & Life Sciences Pitch Competition. Access releases version 8.17 of its Passport web-based electronic forms hospital solution. ZappRx founder and CEO Zoe Barry joins the Life Sciences Cares Board of Advisors. Sounds like CCF didn’t employ very good “Rizk management”. Why would anyone assume a random poster on Seeking Alpha has much credibility when they write an overview of a publicly-traded company? There are some useful posters who do frequently write on specific topics but Seeking Alpha is primarily useful as a tool to get access to breaking news, earnings call transcripts, and financial performance. It’s almost impossible to have a substantive conversation at a soccer match. It’s too loud. Too much noise. It’s exhausting to listen to some politicians speak, because there’s nothing being said. Not enough signal. Signal to noise ratio is the measure of how much cruft we have to work through to get to the heart of the message. The discussion to have when your message isn’t getting out is: Is the world too noisy, or is our signal too weak? The internet is the noisiest communication medium ever developed at scale. And often, it has vanishingly small signal as well. When you give everyone a microphone, they might surprise you by using it, even if they don’t have much to add. One solution is to find a quiet space when you have something to say. Now (in this loud place, filled with spam) might not be as good as later, in a setting you’ve earned, saying something you care about, to people who are listening. Cut down your noise, improve your signal. “Paieon”? How do you pronounce that? Payee-on? Pie-eon? Powee-on? I mean really, this is a missed opportunity. With just a little encouragement they could have fit the one remaining vowel in there. In fact let’s go full-on 10 razor blades on this. Add a Y in there too! And thus I present to you: Paieouny! Or should that be Poyeianu? Youpeina?